Login syntax using LDAP to Cisco Fabric Interconnects. ESXi hosts timing out during HA cluster election phase after cluster master is selected. The HA Agent status in vCenter shows as unreachable on all hosts that timed out. ESXi host fails to enable HA Agent and shows error "operation timed out". Error message "[ClusterManagerImpl::IsBadIP] x.x.x.x is bad ip" showing in /var/log/fdm.log on ESXi hosts. TCPdump capture from ESXi host shows packets destined for IP address of other ESXi host are being sent to the MAC address of the firewall. These should be going to the MAC address of the ESXi host management interface since both reside on the same VLAN. ESXi host managment interfaces are on the same VLAN. Firewall is a Cisco ASA5500 running IOS 8.2(2). Firewall Switch Module running 3.2(5) is also applicable. All network ports are open on the firewall between the vCenter server and the ESXi hosts. 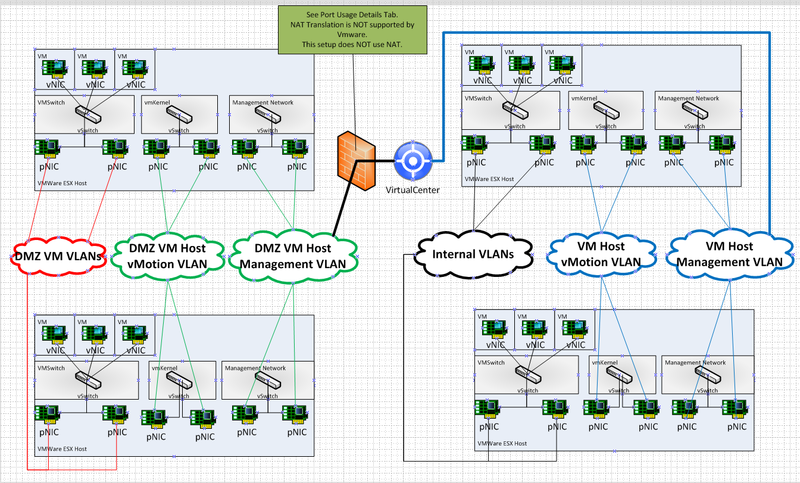 Disable ProxyARP on the ESXi host management VLAN. The Cisco ASA5500 command to disable proxyarp on a VLAN is “sysopt noproxyarp <vlan_interface_name>”. Get a powershell code signing cert from a Microsoft CA. This took me a little while to figure out. Here are the basic steps. This is so you can sign any scripts using your locally available domain CA. By doing this, you can sign scripts and they will be authorized for use on your local domain. This is so you can keep your powershell execution policy as remotesigned rather than unrestricted. Many moons ago back in April, I and several other vExperts were invited to Symantec HQ for an executive briefing. What I thought was just going to be a sales pitch, turned into a deep discussion around virtualization philosophy and technical discussion around Symantec’s many products. Hit the link to read more if you are interested in my experience. This is something you’ll likely have to do on a rare occasion. In case you do though, here is the info need to do so. # Sometimes has problems removing the below directory, so we help it. One of the nifty things about the current VMware View iPad App is it's ability to import a RSA token. Unfortunately, the documentation on how to do this is a bit scarce. These steps may work for Android too, but I don't have an Android tablet to test with. RSA Server 7.1 SP4 <-- This is what I tested against. View 4.5+ w/ RSA enabled. You'll want to select "I need a specific software token" then select "RSA SecurID Token for iPhone and iPAD/iPOD"
Please ensure that the RSA SecurID application is installed on your device before attempting to import your software token. When you type/copy/paste this link into safari, it should open up the view ipad client and ask for you activation code. Once done, you will be able to simply type your PIN for RSA credentials. Pretty sweet gift from @VMWare. This value appears after installing the Dell OMSA vib for ESXi 4.1. Tried changing this value to 1 using PowerCLI proved a bit more difficult than I originally thought, even cheating w/ Onyx. Exception calling "UpdateOptions" with "1" argument(s): "A specified parameter was not correct. Above will return the 'type' of 'value' this particular setting is looking for.